Give someone all of your heart! 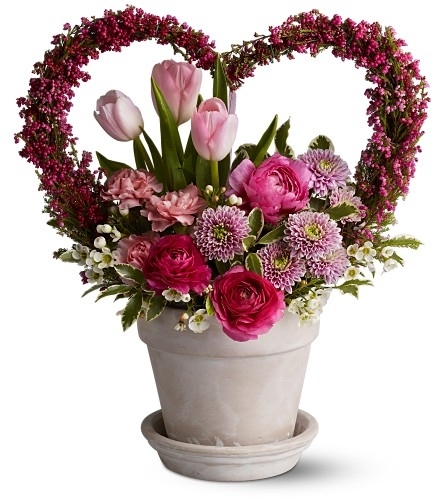 A pretty pink heart made of fresh heather frames a medley of pink, white and lavender spring blossoms such as tulips, ranunculus and more, all tucked into a clay pot with saucer. It’s a captivating gift. Approximately 16" tall.